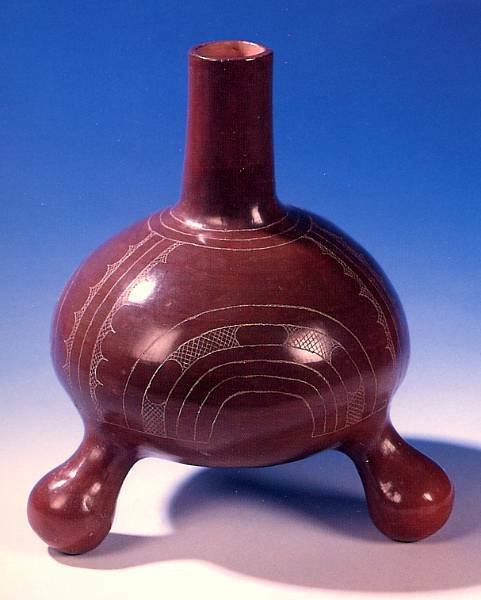 Taysha, engraved tripod bottle made by Jereldine Redcorn in 1998. Height 9.5 inches. Courtesy of the artist.